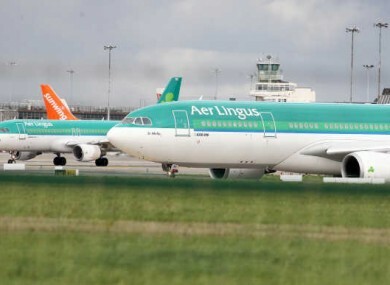 AN AER LINGUS plane had to turn back this morning after fumes filled its cabin. This happened on flight EI 352 from Dublin to Munich. The flight departed at 7.20 this morning. When the technical fault became apparent the plane returned to Ireland. The aircraft landed safely back at Dublin Airport at 08.02am this morning. In total 148 passengers were on board and emergency services were present at the airport as a precaution when they arrived. Aer Lingus has confirmed that passengers have been accommodated on another flight this morning and they do not expect any delay with its schedule today. Also: Facebook crashed. And the world temporarily lost it. Email “Aer Lingus flight made to turn back after cabin fills up with fumes ”. Feedback on “Aer Lingus flight made to turn back after cabin fills up with fumes ”.